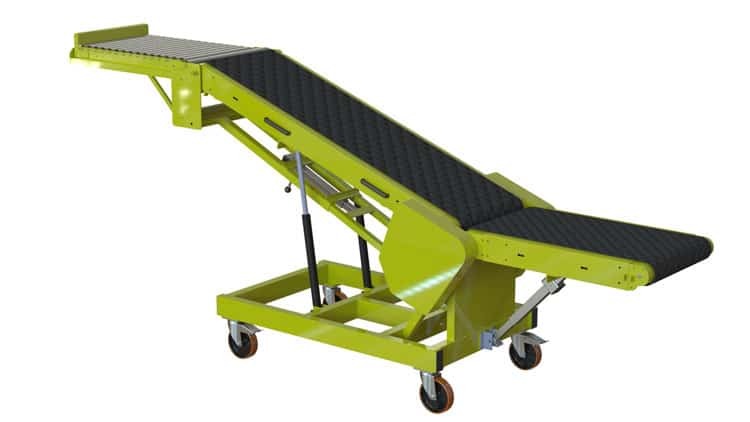 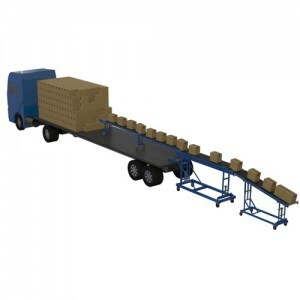 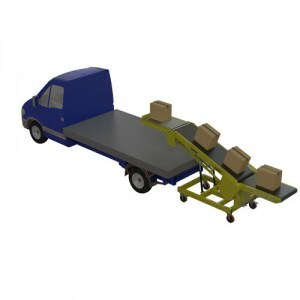 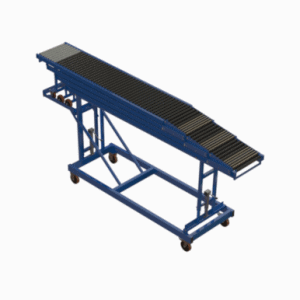 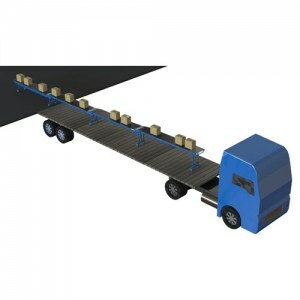 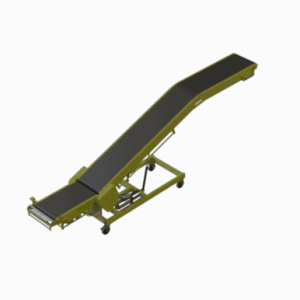 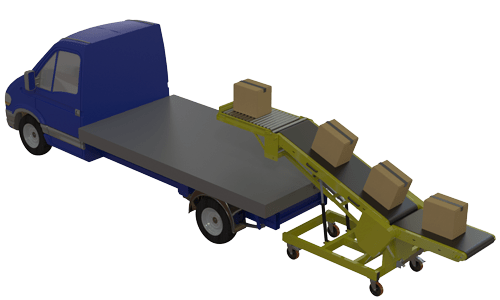 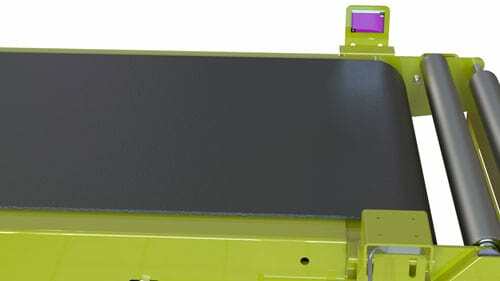 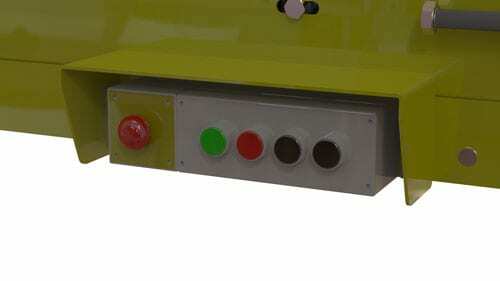 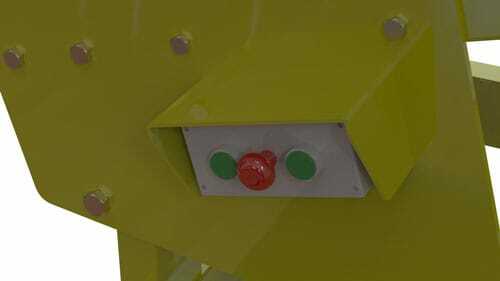 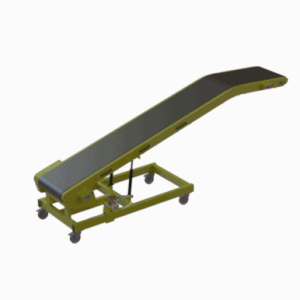 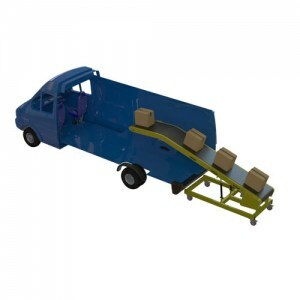 Vehicle loader conveyor, with gravity tongue. 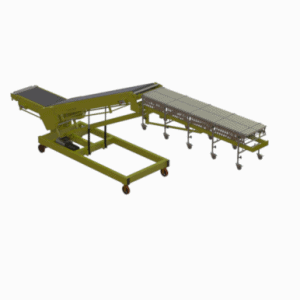 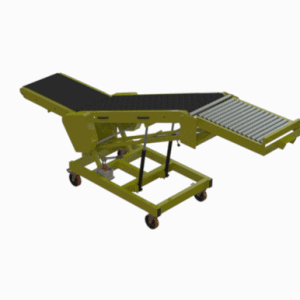 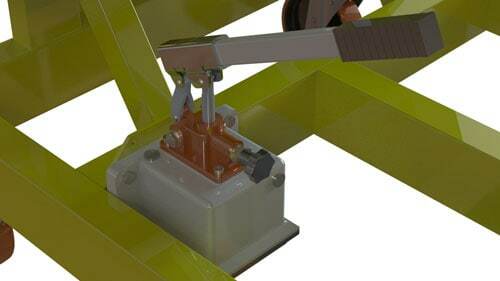 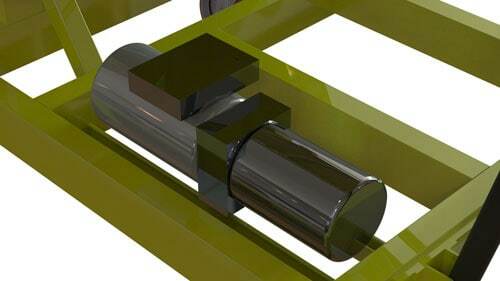 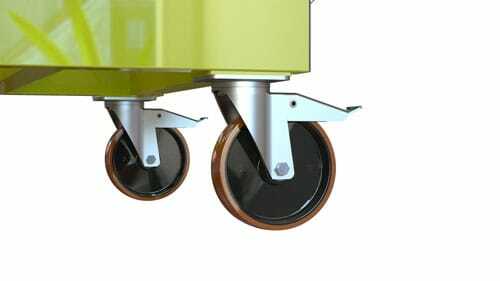 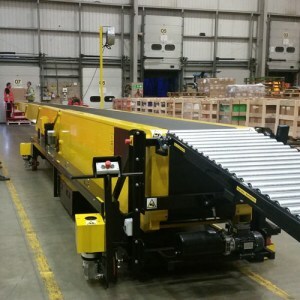 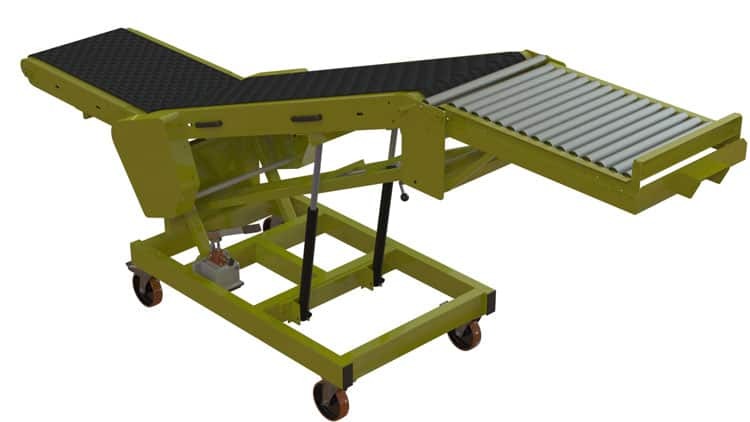 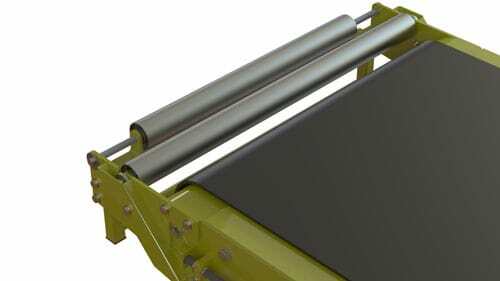 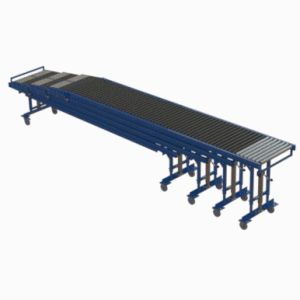 Mobile powered belt and roller conveyor, with self levelling gravity infeed / outfeed. 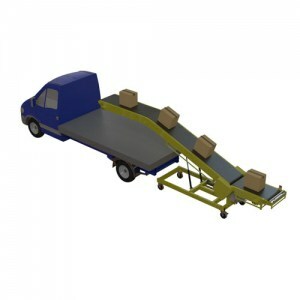 Often used with vans, trucks & lorries.